This little doo-hickey appeals to our inner child. It delights us with its audacious premise. It makes a BOWL! Out of BACON! Whaaaat? Gotta get one and see if that works. If you haven’t seen the Bacon Bowl advertised, its a rubber thing you wrap with bacon and microwave. Skip forward to 10:20 minutes into this video to see what the excitement is all about. Let’s be honest. Is there any reason to serve food in a bowl made of bacon? Cool trick. Fun to try. Bacon is always delicious. “OMG is that SmartArt on the splash screen?” Yeah. Amazing, right? Excel is so versatile it can literally do almost anything. It’s easy to construct your own astonishing yet pointless “bacon bowl maker.” Just take a feature that usually serves one purpose and use it in a completely unexpected way with another feature — then show your co-workers. Knitting bloggers are prone to bacon-bowling: A sock with toes! Hats with pockets! Sweaters with attached mittens that button onto the sleeve! Both knitters and Excel pros have creativity, enthusiasm and unlimited possibilities. The difference is knitters don’t inflict their creations on their co-workers. Just friends & family. But we Excel professionals should be building spreadsheets to get things done efficiently. We don’t need to show off with tricks when we can dazzle with real productivity and insight. 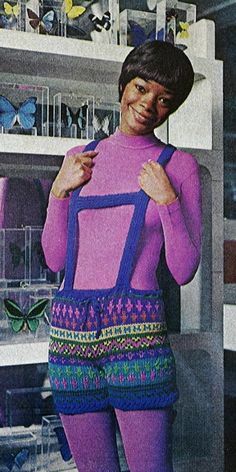 If you want to knit these fabulous 1975 era knitted lederhosen – let your freak flag fly. Or maybe you want to use the current date to apply seasonal color to spice up the order tracker for Janice in Accounting? Resist the urge. You know why. Admittedly, I have dreamed of doing this. It would be fun. Especially at Halloween. But I can’t justify it. The difference between a frivolous gadget and an elegant solution can be subjective. 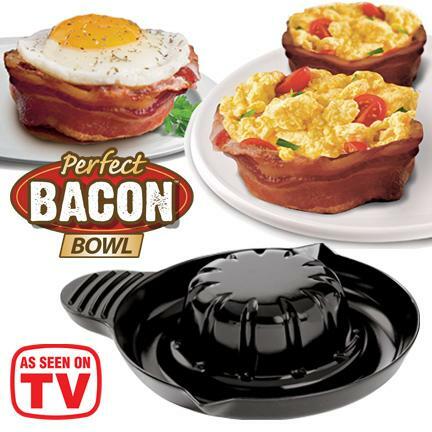 So although I could point out a few Excel “bacon bowls” out there on the blogs, to avoid hurt feelings (folks are proud of their inventions) I’ll let you be the judge. Meanwhile, I take it day by day. I’m still in bacon bowl recovery, learning to strip things down to the essentials and keep the overall design simple. And then someone tweets a link to a blog post describing a slider linked to an array formula with a sound file that plays when no results are found in the filtered data and….agggghhh! I have to turn my head and go read a chapter of Edward Tufte’s “The Visual Display of Quantitative Information“ until the urge passes. Bottom line: if a feature doesn’t solve a real problem, it’s probably not needed. Even if it *IS* cool. Your users will appreciate simplicity of design. Clouds on the horizon for Office developers: Stormy or fluffy?